That is how many squares I cut this weekend. I painfully, well not really painful... it was more visually delightful, cut into my Amy Schimler fabric. 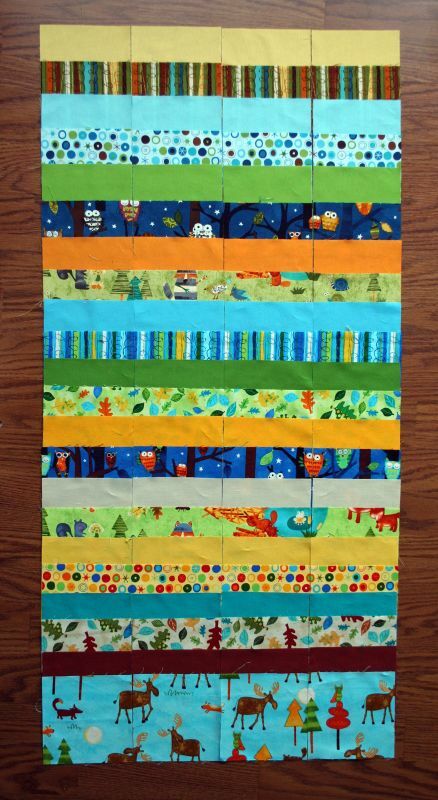 I'm finally starting one of the quilts for the boys room that I mentioned a few months back. After much deliberation over the whirlygiggle or the zig zag, the J-man decided on some zig for his zag and the timing couldn't have been better. Amy is hosting a quilt along over at the oldredbarn on flickr complete with lots of pics and instructions to help me along my way, strength in numbers right? instead of the 9" blocks, I cut 5" blocks and doubled my amount. wow!!! is a big bunch of squares!! love those fabrics! i think looks great in a boys room! Keep smiling~ this is going to be great! Wow, what a lovely stack! 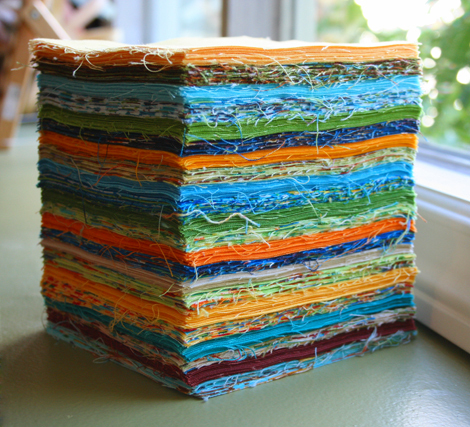 I found your blog via Craft and I'm really enjoying it. Your Don't Get Out of Bed pants are wonderful-I'd love to link to them if you don't mind. I don't mind if you link to the pants at all! Thanks for stopping by and I hope you enjoy the tutorial. Wow, you know you're insane, right ;) Anywho, Did you listen to anything in particular while cutting those squares? The boys room has a nature theme going on so the prints will go perfectly. I can wait to get more done on this quilt. Welcome here and thanks for stopping by. The cutting is always the hardest part for me...labor intensive. Actually I was watching, more like listening, to the JFK movie...you know the Oliver Stone one.